Flexpet Soft Chews are a new, maximum strength formula designed for larger dogs, severe pain, picky eaters, and dogs with difficulty chewing. 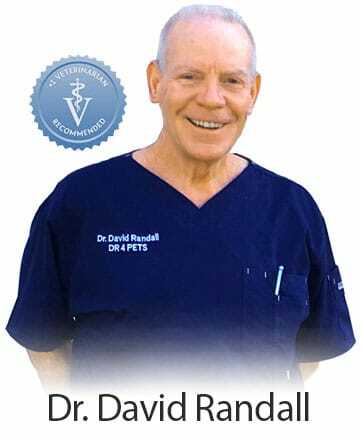 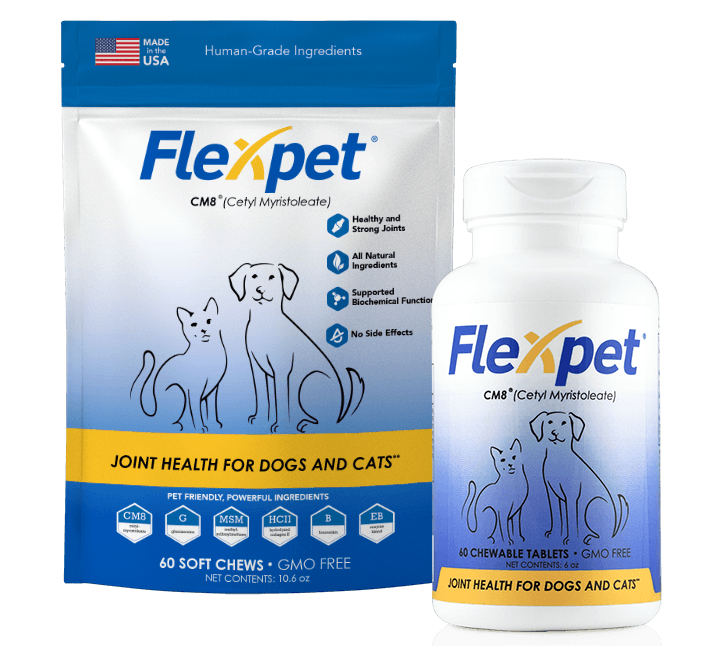 It contains the same key ingredients that have been helping pets for almost 20 years, including the clinically proven ingredient CM8, but in a higher concentrated formula for maximum relief. 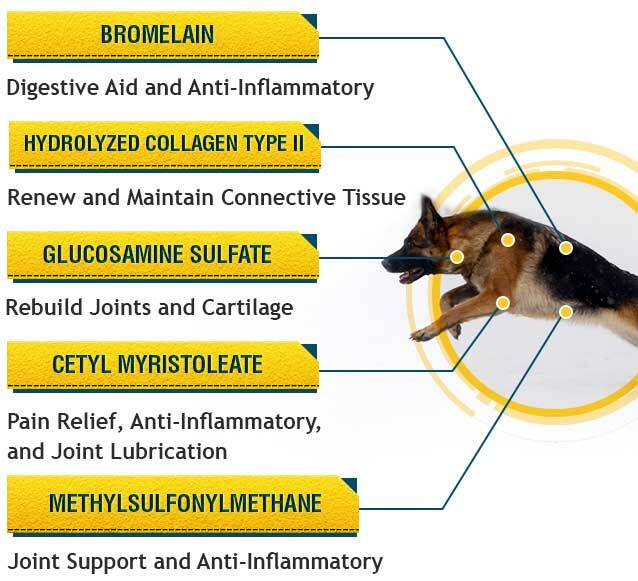 Not sure if new Soft Chews are right for you dog? 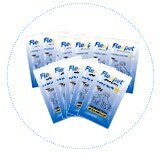 as the #1 pain relief solution. 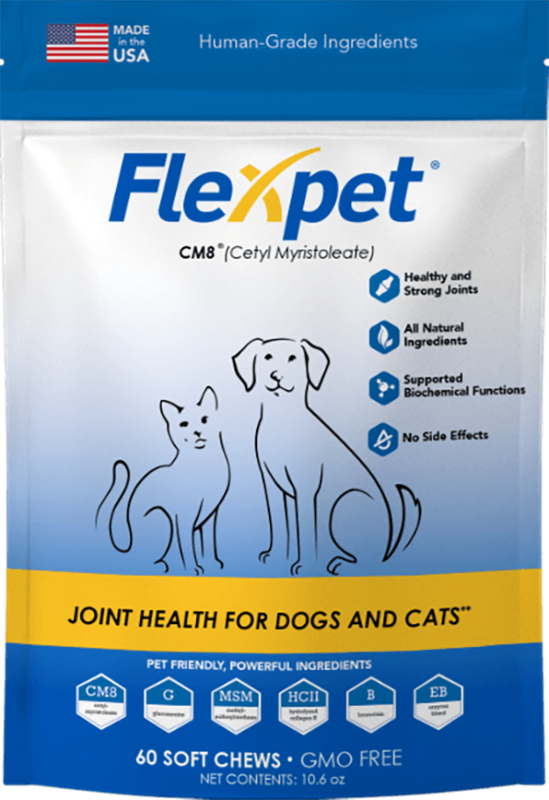 *Flexpet Soft Chews contain 500mg of Cetyl Myristoleate, Flexpet Chewable Tablets contain 150mg. 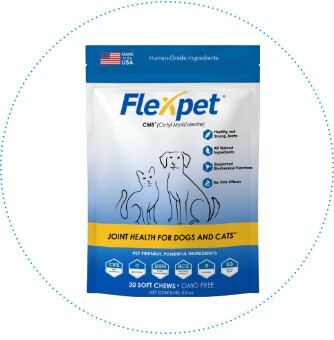 Cane molasses, brewers dried yeast, spray dried cheese powder, potato flour, rice flour, vegetable glycerin USP, potato starch, calcium carbonate, fish oil, salt, lecithin, natural bacon flavor, gum arabic, ascorbic acid, and calcium propionate (to maintain freshness). 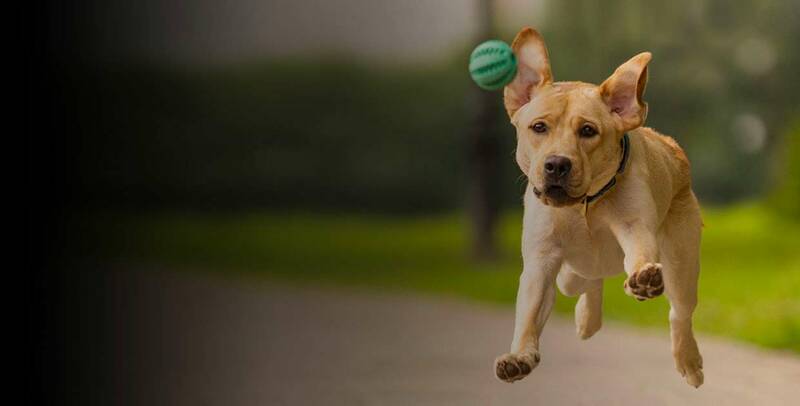 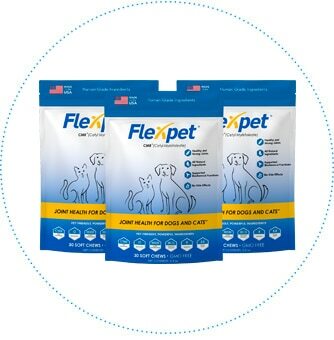 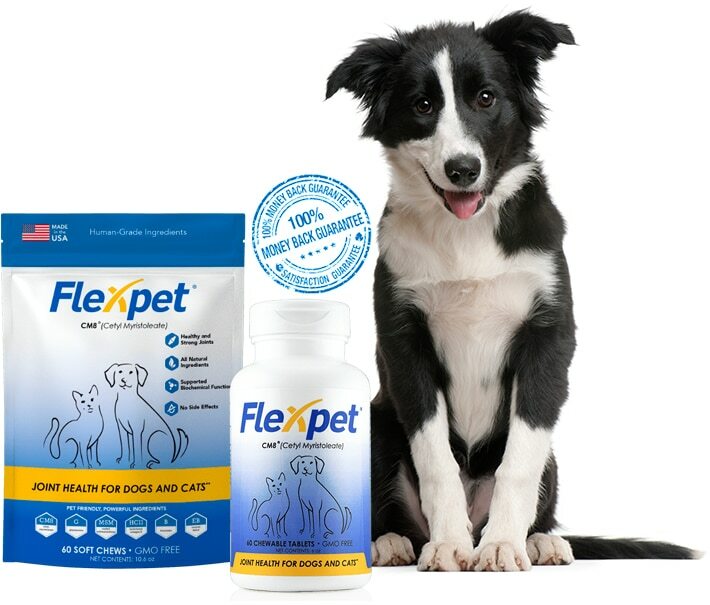 Like all good habits such as having your pets eat right and exercise, FlexPet needs to be taken regularly and consistently for the best results. 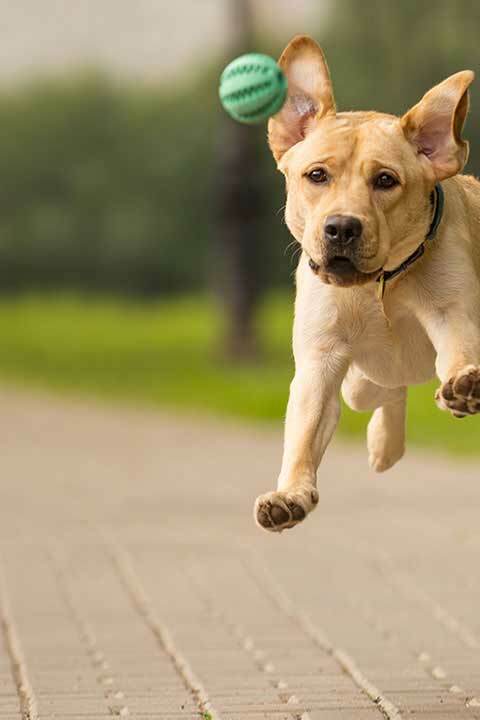 Most of our customers report improvements in their pets within 2 to 3 weeks but it can take longer to notice significant, if not complete, benefits. 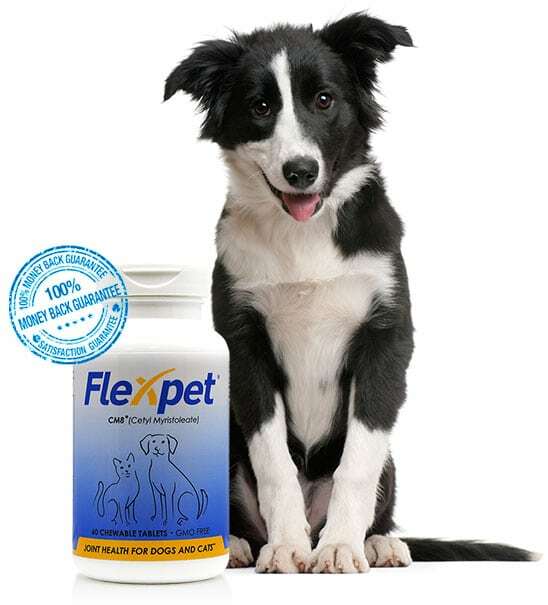 We recommend you provide your pet the appropriate daily dosage for at least 2 full months to evaluate the results.